This 3/8" valve can be mounted in any position and an arrow molded into the body indicates direction of flow. 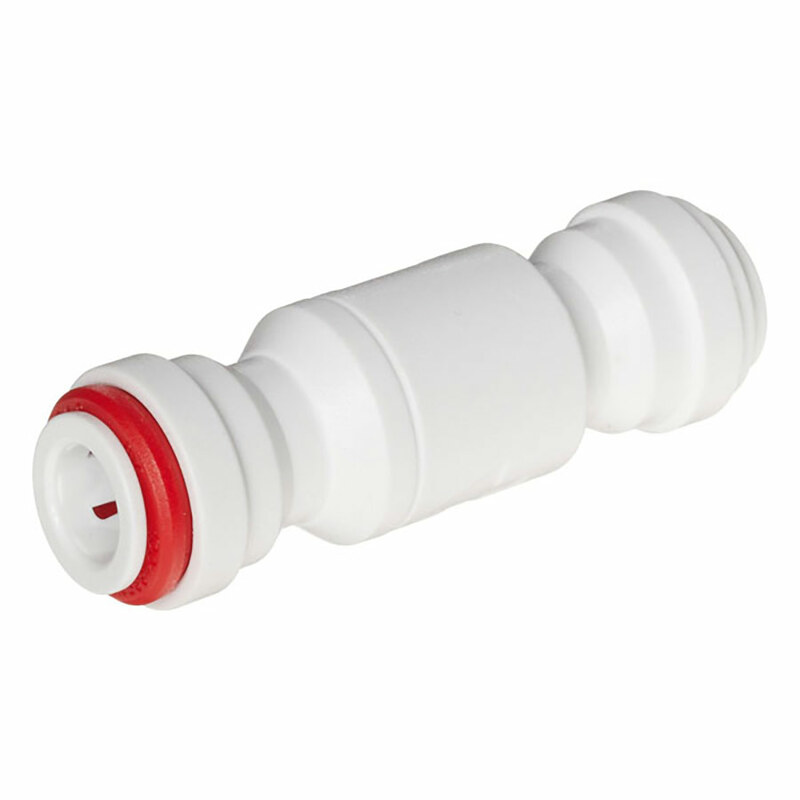 They are designed for connection to either plastic or soft metal tube and they are intended for liquids only. Note that they are not suitable for air and vacuum applications.